Serie A side Napoli are due to host Premier League side Liverpool on October 3 for a Champions League game at the Stadio San Paolo. 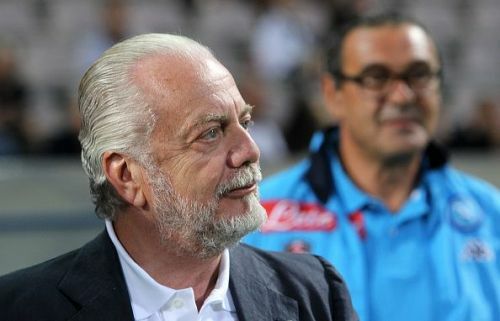 However, Napoli president Aurelio de Laurentiis claims that the club has requested to move all their Group C home games to Bari’s Stadio San Nicola which is 160 miles away. The problem arose after the club authorities had a disagreement with the local council in Naples, who own the 60,000 seater San Paolo stadium. While the seats inside the stadium do not meet UEFA requirements, the club has been granted an exemption to play their home games in Naples in the past. This came with an agreement stating that the issue was to be rectified in the summer. The agreement was, however, broken as the stadium was not modified to suit the requirements. Speaking to Corriere dello Sport, Laurentiis said, "For me, it's a nightmare. Such a bad stadium limits the status of Napoli at an international level. It's a shame. For this reason, I say enough: I don't want any more controversy, so I'll build my own stadium." "And that's that. We can't go on like this anymore. Nobody can tell you to do anything if you put in your own money and have the land to build a stadium. "In the meantime, I've asked UEFA to authorise us to play Champions League matches at Bari." The club president's comments angered Naples mayor Luigi Di Magistris. Speaking to the Italian media, he said, "His suggestion is unthinkable and impractical." "It's a serious matter to even think about something like that. Napoli play and will play at the San Paolo stadium." UEFA has denied the claims adding that they have not received any request to change the venue and Liverpool are expected to play the game at Stadio San Paolo. If @uefa agree to move Napoli’s CL game v Liverpool to Bari, I will look forward to seeing what they are going to do about LFC fans already having flights and hotels booked for Naples??? Napoli v Liverpool - We are hearing rumours this game will now be moved to Bari. We think this is unlikely but we have a contingency plan in place to fly direct to Bari instead of Naples if the game is moved. Fuming with this, surely there’s something to say they can’t move it this late with flights etc.. all booked? Can they really get away with that only 3 weeks before the match? Should've done that before the draw, not when flights and tickets were booked.